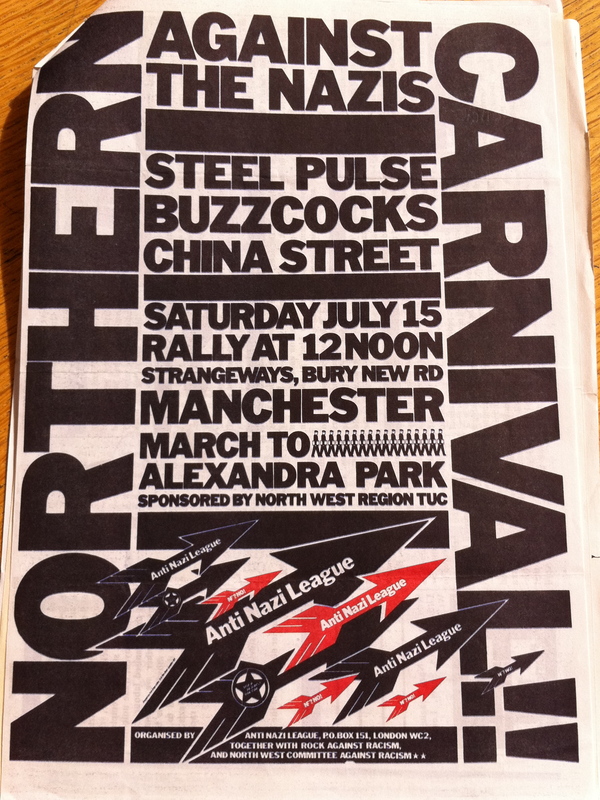 For years, I remembered the 1978 Anti-Nazi League carnival in Victoria Park, Mile End with a big warm glow – The Clash, Tom Robinson Band and X-Ray Spex and many others played. I was fifteen years old and it was amazingly excited. The demonstration started in Trafalgar Square and when I arrived at Embankment tube station, loads of punks leaped over the barriers while tube employees tried to hold them back. Round every street corner were big police vans full of coppers waiting to pounce. And then Trafalgar Square. 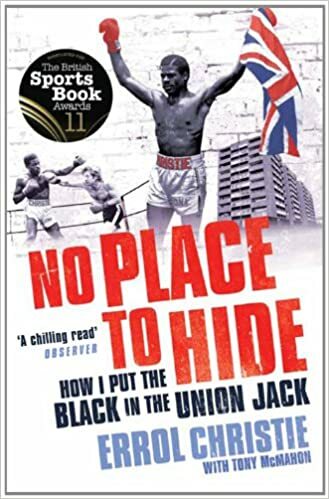 In those days, Nelson’s column was covered in soot and the buildings seemed darker and greyer – they all got a clean up in the 1980s. But it was the noise that gripped my attention. Somebody yelling on a megaphone and then X-Ray Spex belting out a number. The whole mass of people moved off and we marched for what seemed like an eternity to Mile End. 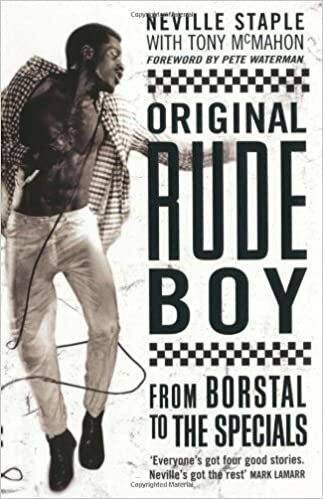 There wasn’t just the one carnival that year. 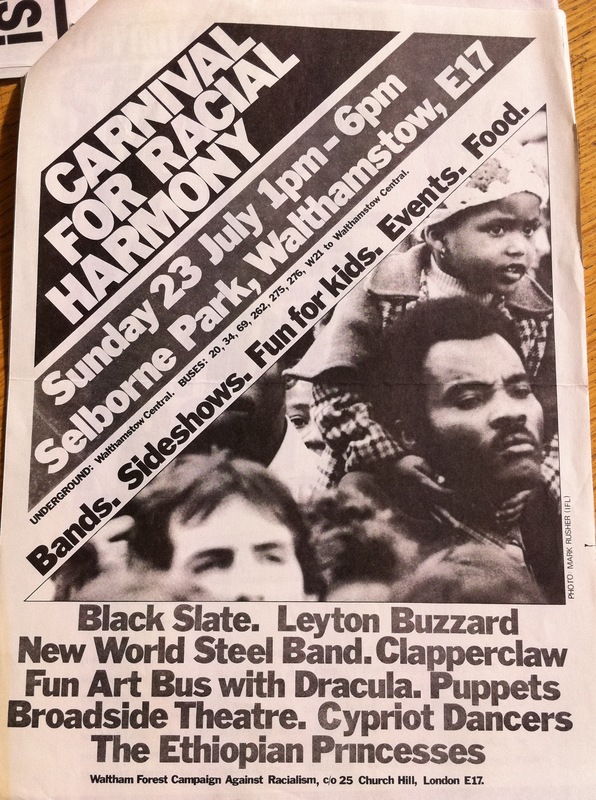 Another carnival rocked south London and – I’d quite forgotten – there was a Walthamstow carnival. This followed a racial attack in the area, one of several acts of thuggery by racists against the local Asian community. Here was the poster from that Walthamstow event – some bands on it I really can’t recall.